For four years we’ve been in the field working with community voices. In that time we’ve built several tools to change the way information flows from rural and marginalized communities. Most of these work through voice prompts on simple phones, which plug in to a more sophisticated web-based dashboard that controls inputs. We call this toolkit vAutomate to help partner automate their field operations. 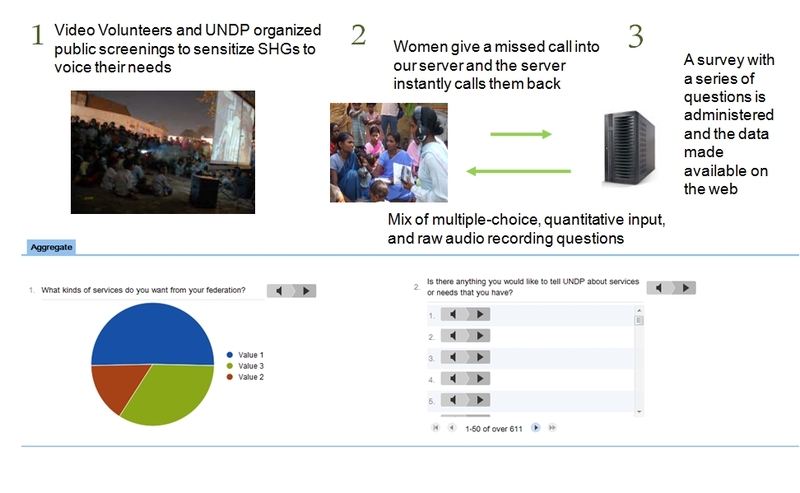 We have over 80 projects in progress, spanning vAutomate technology users, information campaigns on Mobile Vaani, Mobile Vaani partners, and community radio automation using GRINS. Click on the map markings to know more. Our partner engagement model ranges from us simply providing the technology, to actively engaging and consulting the partner to use ICTs in their operations. 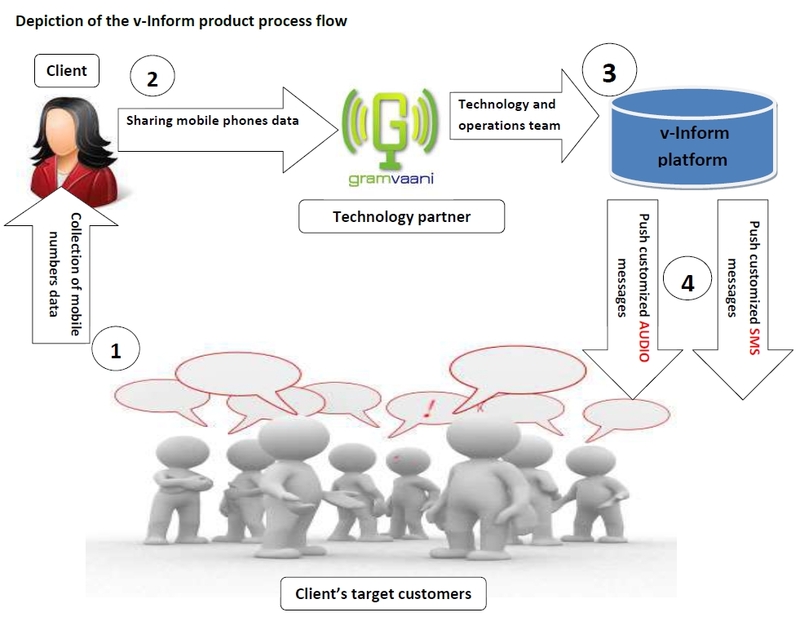 vHelp: A basic voicemail system which allows inbound calls & outbound pre-recorded messages administered on an online interface. 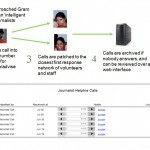 Calls can even be patched to a network of ‘hotline’ volunteers as in a mobile call-center, where if no volunteer picks up then the message becomes available as a voicemail. 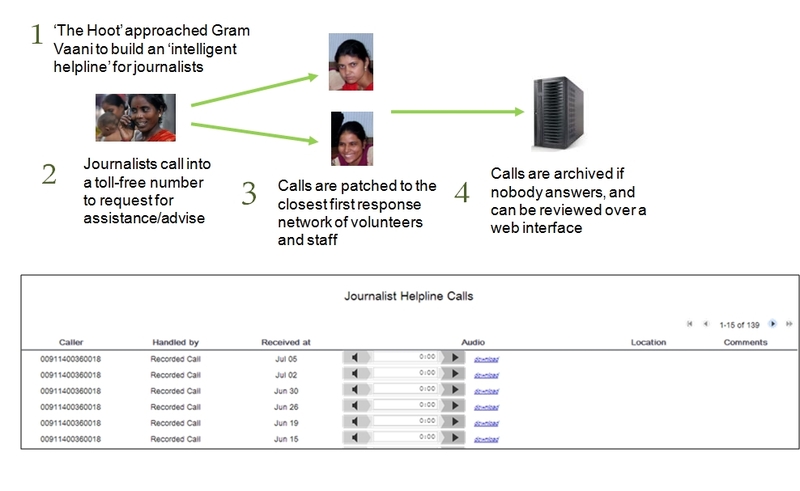 Click the thumbnail to see how The Hoot used vHelp to set up a helpline for journalists, and download the product sheet and pricing here. vConnect: A voice-based ‘discussion-board’, where callers listen to a series of FAQs, unanswered questions, and leave their own answers. All callers are able to hear the original question, as well as answers that have been approved by the moderator. Callers can also comment on earlier answers left by callers, and can ‘like’ answers by rating them up or down. vConnect can be used for people to share news, discuss local developments, share questions and answers, and much more. Click on the thumbnail to see how Radio Mahaal, Sesame Workshop, and our own Mobile Vaani platform have used vConnect to set up community discussions, and download the product sheet and pricing here. vSurvey: vSurvey is an integrated polling application which collects information over regular phones using voice and keypad prompts. Quantitative and qualitative data can quickly be collected from large numbers of respondents simultaneously, then formatted and automatically reported on a web-based interface. 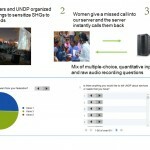 Click the thumbnail to see how UNDP and Video Volunteers used vSurvey to collect information about the needs of self-help-groups in Eastern UP, and download the product sheet and pricing here. Read more details about vSurvey functioning here. vAct: A community based ticketing and support system, vAct allows people to call in and leave grievances. 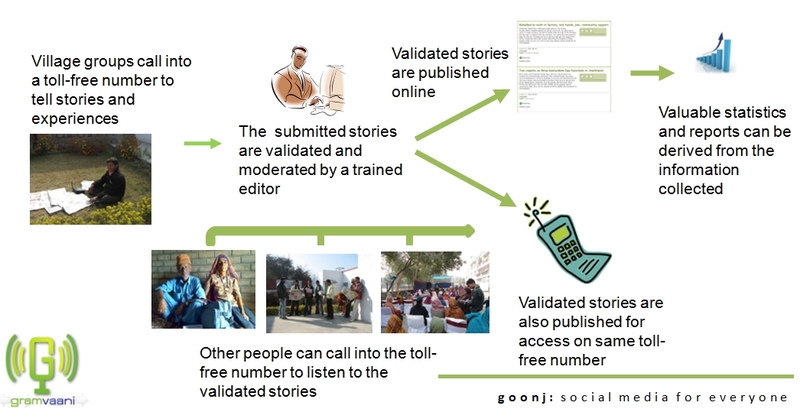 The grievances can be assigned to different concessionaires, posted to Facebook, and redressal statistics can be published on a website for transparency. 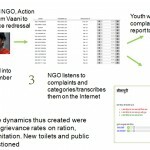 Click on the thumbnail to see how MCD and Action India used vAct in slum areas of East Delhi to improve grievance redressal, and download the product sheet and pricing here. 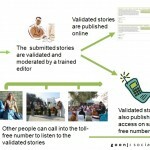 vInform: vInform is an automated tool for broadcast of information and advisories using voice and SMS, to a large population. Statistics on successful outreach, duration of listening, and scheduled callouts make vInform a very complete training and guidance tool. Click on the thumbnail to see the process flow, and download the product sheet and pricing here. 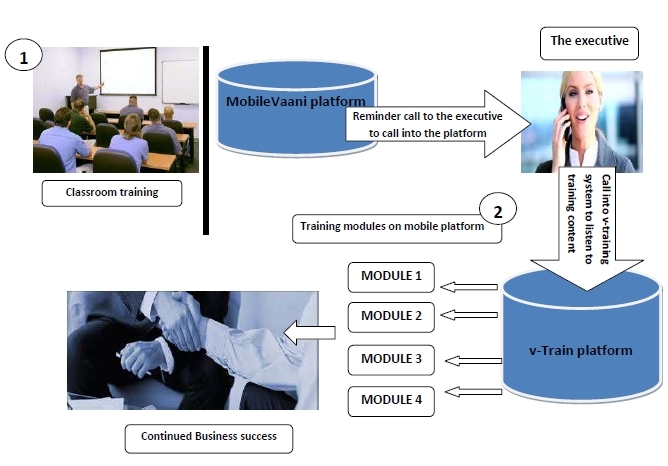 vTrain: vTrain is a voice-based training solution, to guide a large number of agents through several voice-based modules of training. vTrain can be clubbed with a feedback/quiz section to evaluation the learning of the users. 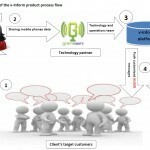 Click on the thumbnail to see the process flow, and download the product sheet and pricing here. Email contact [at]gramvaani.org/ for more information on our vAutomate toolkit. You can also check out the instruction manuals for vConnect and vSurvey here.